As I mentioned in my 1 year of blogging post, I am taking part in the 31 Day Challenge this month. This challenge was created years ago – nobody seems to be sure where it originated – and has been done my many nail artists since to work on nail art skills in a really fun way! What’s even more fun is that a lot of nail bloggers choose to do this challenge in September, so you can see all of the different looks everyone comes up with for the same themes. 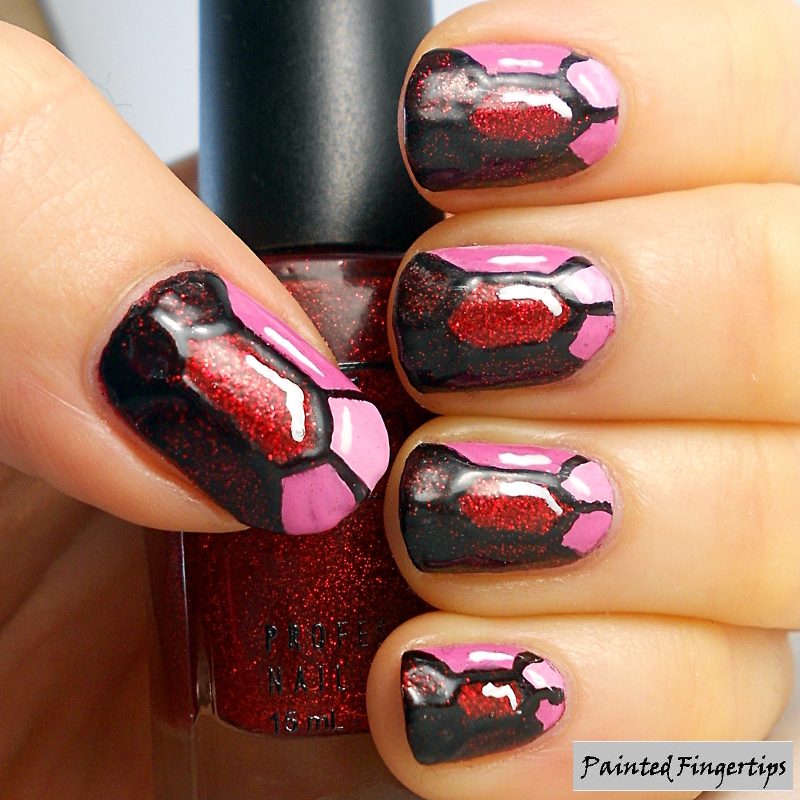 The idea is to do a new nail art look every single day for 31 days. 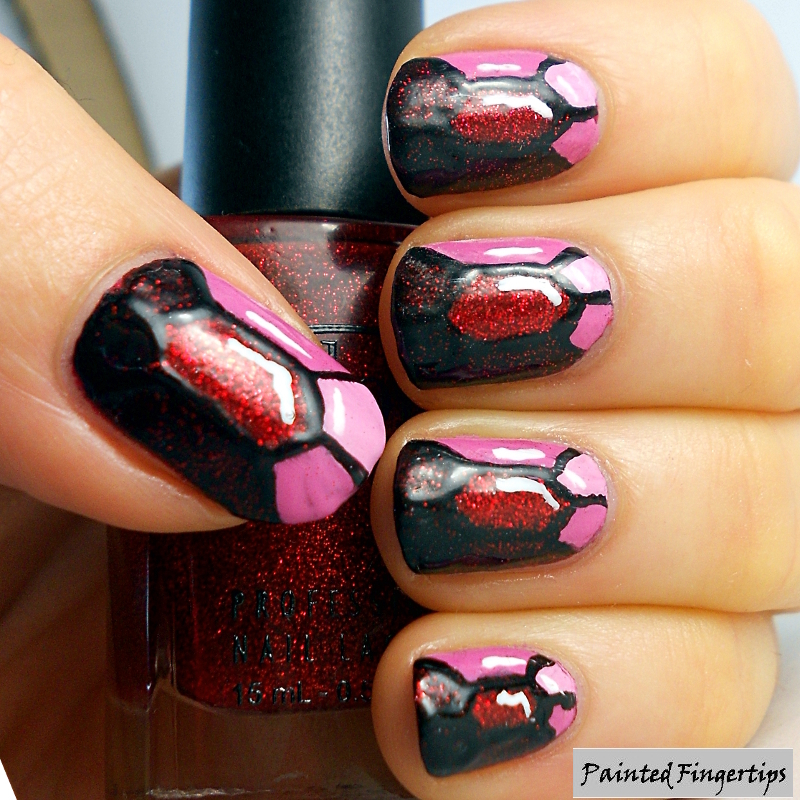 If you’re curious or keen to try the challenge, take a look at this FAQ on Chalkboard Nails. The theme for the first day is red, and I’ve done rubies! 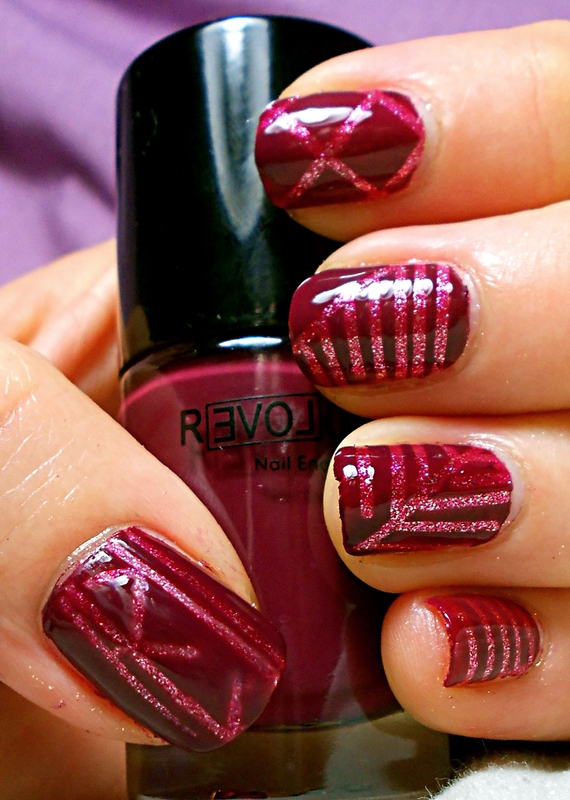 To create my rubies, I followed this tutorial on Chalkboard Nails. 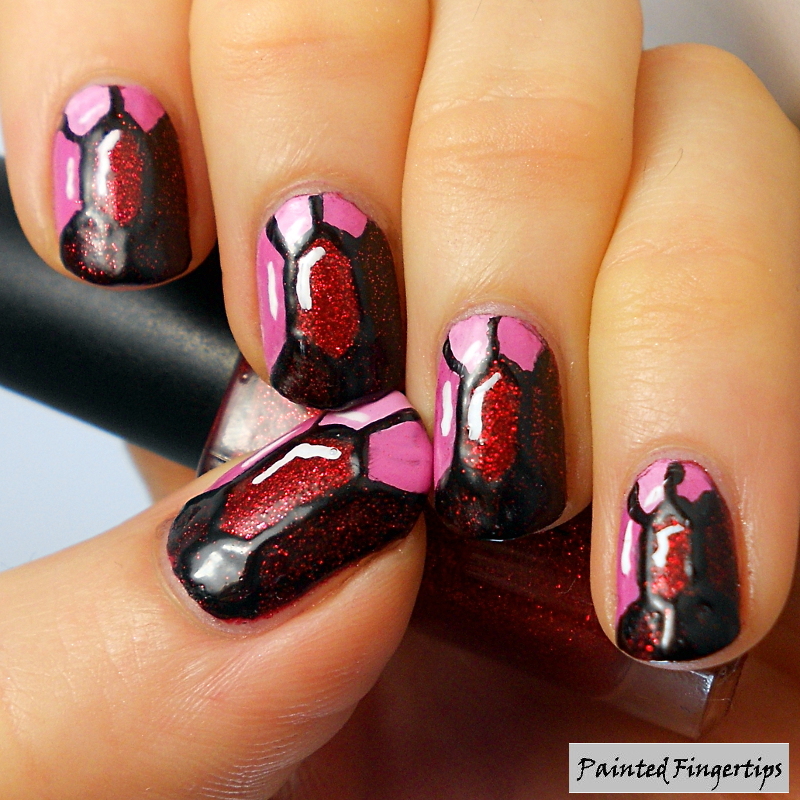 I used Color Club Ruby Slippers as my base – what could be better for painting rubies? I mixed Ruby Slippers with Sinful Colors Snow Me White and Black On Black to create the highlights and shading on the rubies. I then did the outlines with Black on Black and highlights with Snow Me White. This was one case where I thought my nails looked better in real life! I wasn’t sure about them on photos but I couldn’t stop staring at my nails. What do you think of these? I say it’s a definite improvement on what I did last year! Here are the rest of the prompts for the challenge – during the first week we’ll be covering a bunch of different colours! Some of the other bloggers taking part this September will be joining a link-up, so take a look at what they’ve created at the link below. 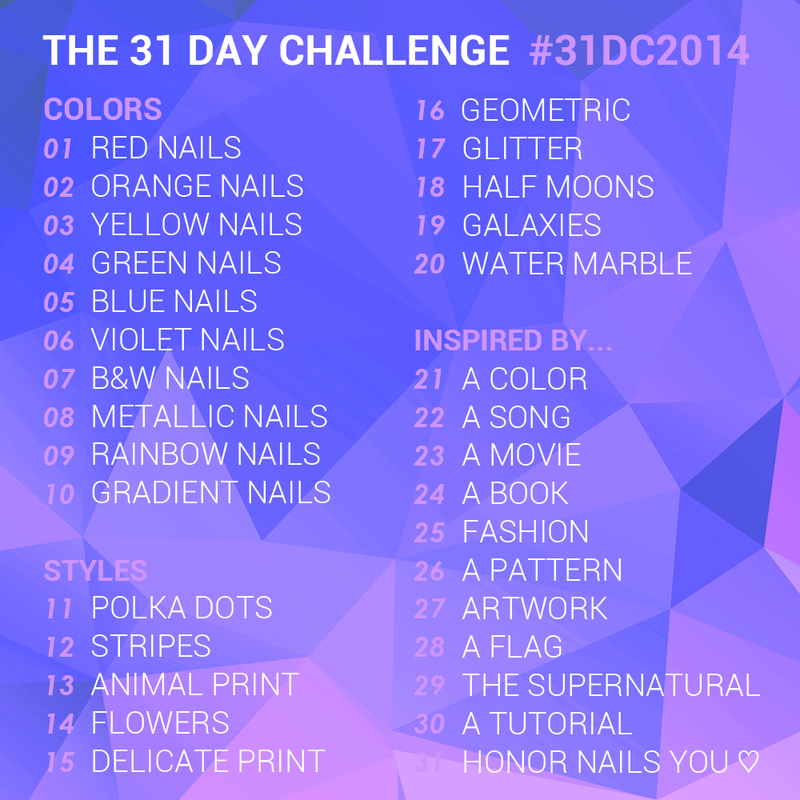 You can also search #31DC2014 on social media sites to see what everyone has come up with. Enjoy! How cool and very appropriate. PS thanks so much for doing the link-up! This is so utterly gorgeous and super creative. I love it so much!